I feel very strongly that a higher power had a hand in making New Zealand - it's on-another-level in every way. So whenever the opporunity arises to visit this special country my answer is always a most grateful YES. I flew to Christchurchas a guest of Emirateslate last year to eat, drink and explore the city dubbed the most English town outside of the United Kingdom. Here are my whistle-stop visit musts. Christchurchwas devastated by earthquakes in 2011 when the city lost many of its heritage buildings and cathedrals. Yet it is the determination to rebuild from the devastation which makes the 'new' Christchurchso vibrant. You can literally feel the energy and optimism exuded from a community determined to remake their city - even better than before. 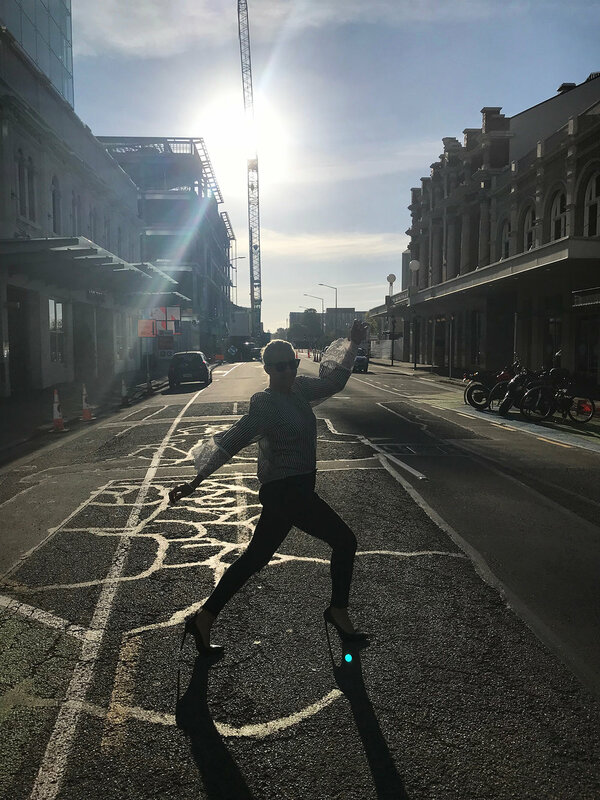 Then there is the light - it's magical in New Zealand - but there's something extra special about the way the sun hits Christchurch. The city is called the 'gateway to the South' and when you stand bathed in the setting sun you can't help but wonder if its for celestial reasons. The Christchurch Botanical Gardensare world famous for a reason. The second you step inside you're transported from the real world to a movie set and you must take time to explore the beautiful heart of this city. Manicured greener-than-green lawns, abundant flowers, crunchy gravel paths, streams, bridges and a conservatory straight out of an Austennovel. I suspect that spring (when I visited) and autumn are the best times to enjoy the gardens to full effect but there's a lot of evergreen trees that ensure beauty all year round. My favourite gardens included the New Zealand Gardens, Central Rose Garden, Azalea and Magnolia Garden and the Herb Garden. Street murals of epic proportions are a total thing in Christchurch. They litter the city like unexpected technicolour confetti. The juxtaposition between traditional British architecture and ghetto art makes it all the more fabulous. Walk the streets, look up, look down and you'll find paintings dotted around every corner - from tiny to sky scraper tall. All of them have goog-able stories behind them and make for great photos. Sumner Bay and The Rapaki Track. I totally had the theme song to The Pianoplaying in my head as I strolled along this epic coastal beach. Sumner Bay is located near the pretty suburb of Richmond Hilland is about twenty minutes from the city centre. A popular surfing spot the sand is dotted with beach caves and rocky headlands. This is a classic New Zealand beach - wild, wooly, massive and worthy of a thousand pictures. The hiking around the Port Hillsregion is spectacular offering breathtaking track after breathtaking track. The area appears straight out of a Peter Jacksonmovie - mountains, cliffs, sapphire sea and acres of very green rolling hills. The climb is made worthwhile at almost every step but particularly at the peak where the panoramic views of the Lyttelton Harbour are something never to be forgotten. The Rapaki Trackat sunrise was my pick - an extraordinary way to start any day. This River Avonis not named after THAT river but you would be forgiven for thinking you were in Shakespeare'shome town when you arrive at the Antigua Boat Shed. You can hear the barber shop quartet singing before you reach the front door. The Avon River runs alongside the spectacular Botanical Gardens and is as English as you will find outside of the United Kingdom. The punting boat sheds are postcard perfect (in every sense) and a step back to a slower, gentler time. Punting costs $28 (per adult) and involves someone dressed in Edwardian clothes pushing (not rowing) you along and around the river in a small boat. It's a relaxing, indulgent use of an hour and a beautiful way to view the gardens. 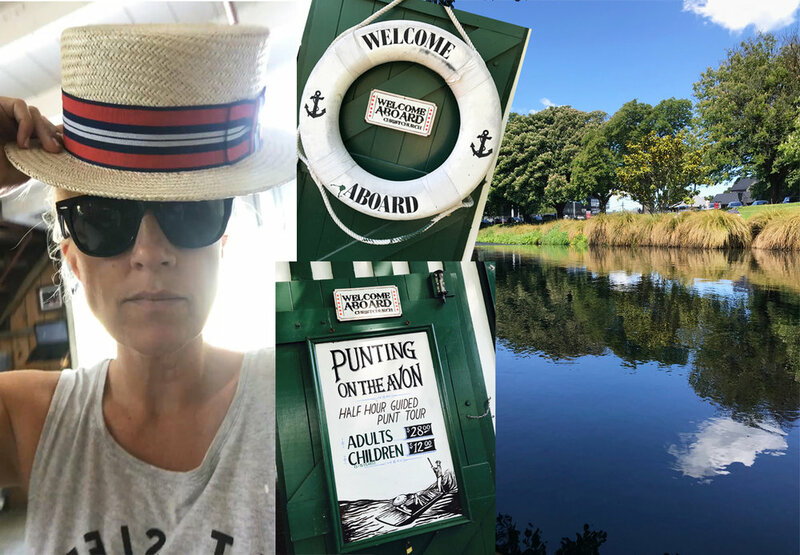 The Antigua Boat Shed also rents canoes and kayaks but really...when in Christchurch you punt. Plus any excuse to wear a boater. Food, Food & More Food. You can eat like a Queen in Christchurch. And this Queen did. I only had 48 hours but gave it a good shake... here are my musts. Lunch At Little High: Little High Eateryis Christchurch's newest and coolest eating space. Eight different local businesses serve food out of this urban food market with abundant shared seating. Choosing what to eat is hard (you could eat here everyday and be happy) but I had a classic hamburger from the world famous Bacon Bros Burgers and I still dream about it. Dinner at Sister Kong: A slick dumpling and bao house in the middle of the city. A great neon lit bar complements cool cocktails and asian tap beer. Everything on the menu is delicious and I know that because I ate everything on it. Dessert At Twenty Seven Steps:Twenty Seven Stepsis a sophisticated bistro set (27 steps) upstairs from the happening New Regent Street. The menu delivers on seasonal and local produce which is beautifully presented and developed. For me the desserts were the star - all of them masterpieces like this sorbet, meringue, berry and citrus delight. Guacamole at Casa Publica:What is better than house made corn chips and guacamole? Gaucamole that is made and smashed to taste at your table. This dish was just heavenly. I had it twice in two days. As was the ceviche. All washed down with local tap beer sitting in the sunshine. There are more coffee shops in Christchurcthan there are in Brooklyn. Which is saying something. I loved The Caffeine Laboratorywhich is too cool for a website. So you'll have to go old school and Google the address. Akaroa is the utterly picturesque French settled town situated about 45 minuted from Christchurch. From dolphins and champagne to antiques and beaches there’s plenty to do in the quaint little town. I visited New Zealand as a guest of Emirates-read my review HERE - and Accor Hotels. Thank you for an incredible experience. Found! The Perfect Cotton Shirt.